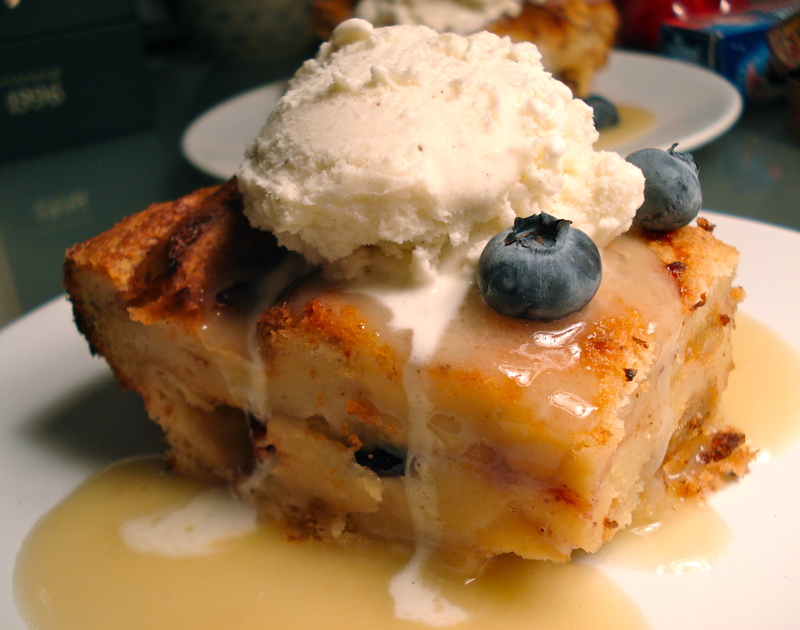 I have an unhealthy love of bread pudding. I blame this love on a popular Irish pub near Boston that serves up a ginormous portion of dense, luscious bread pudding with banana whiskey sauce that always gets fought over, licked up, and dreamed about. After realizing I could eat it oh, every other day, I decided to start making my own. This was way back in the day when I was just out of braces and wasn’t as into baking things for other people as I am now. So, true to 14 year old form, I’d bake it just for myself. Over the years, after many, many attempts at greatness, I think I’ve got the recipe down. It’s so spot-on that whenever I eat it I think of that sad little Irish pub, I sigh. I was so naive. I knew bread pudding was good. I just didn’t know it could be this good. 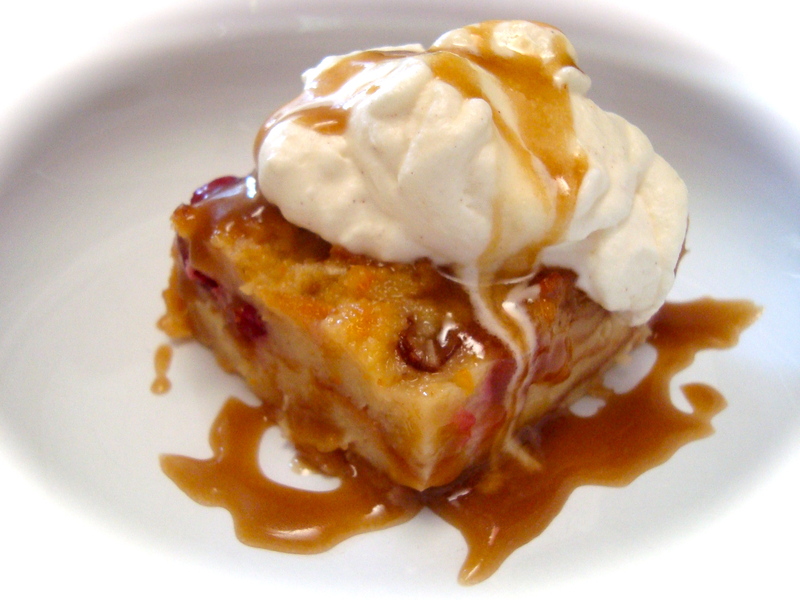 There are many reasons why I love bread pudding: it’s easy, when made well it’s perfection, it’s cheap, it lasts well, it’s a crowd pleaser, it’s variable, you can serve it with all sorts of sauces and creams, and – the best part – it takes to liquor very well. As you’ve probably already guessed, I don’t really acknowledge all those bread pudding haters out there. Well, I do acknowledge them in so far as I think they belong to the poor, unfortunate masses who have never been fed bread pudding as it should be: thick; firm; vaguely sweet; lightly flavored with fresh or dried fruit or chocolate; covered in a luscious, buttery, boozy sauce and topped with cream or ice cream or both. How can you hate that? 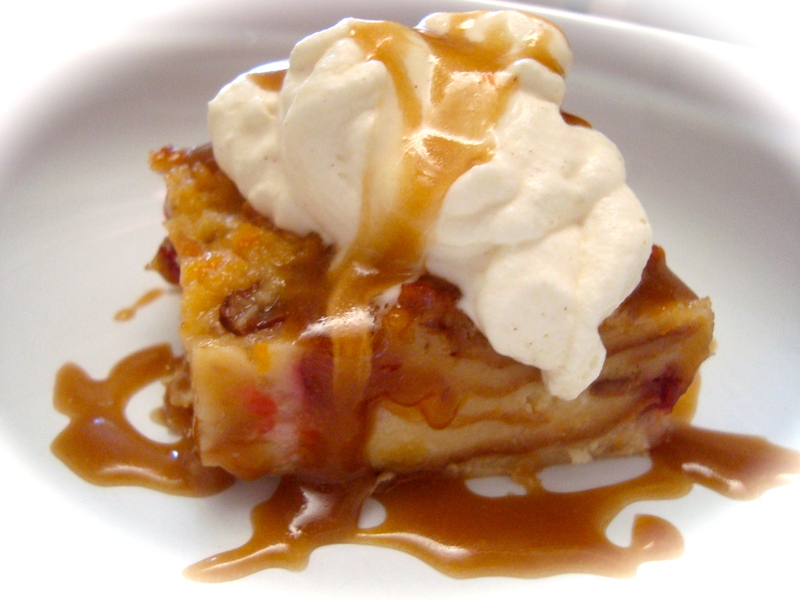 In my world, bread pudding isn’t runny or reminiscent of custard infused with bread crumbs, but isn’t dry either. It isn’t sticky sweet (that’s what the sauce is for) but it doesn’t taste like cardboard either (sorry, Bread and Butter Pudding). It doesn’t require a bain marie or 2 liters of heavy cream or separating eggs or fancy vanilla. In other words, it’s the perfect dessert. 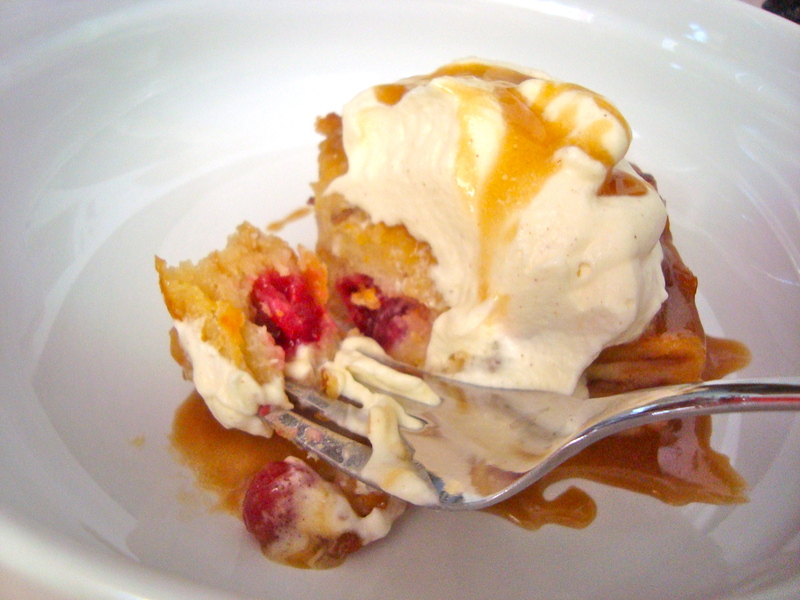 So, with no further ado, I give you what I think is an easy bread pudding recipe that will knock your socks off. It’s my favorite, anyway. And if you’re lucky, I might just share a piece with you. 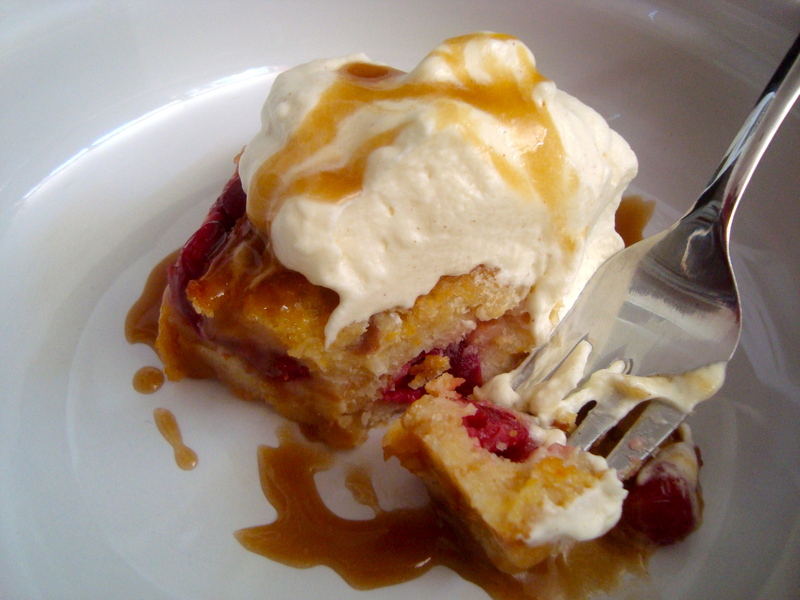 Bread pudding lovers unite! Try it with whatever you like, from chocolate to peaches. Just don’t forget to make sure there’s enough liquid in there – it will soak it all up as it cooks. And please, whatever you do, don’t serve it without a delicious, boozy sauce. Serves 8 – 10. * sometimes I get lazy and don’t tear the crusts off. And while I usually use my bread for this, I think it’s even better with store bought, super processed white bread (think: Wonder Bread). Brioche or other eggy breads can be used, but I don’t think they add all that much. In a large bowl, mix all the ingredients except the bread and extra flavorings. 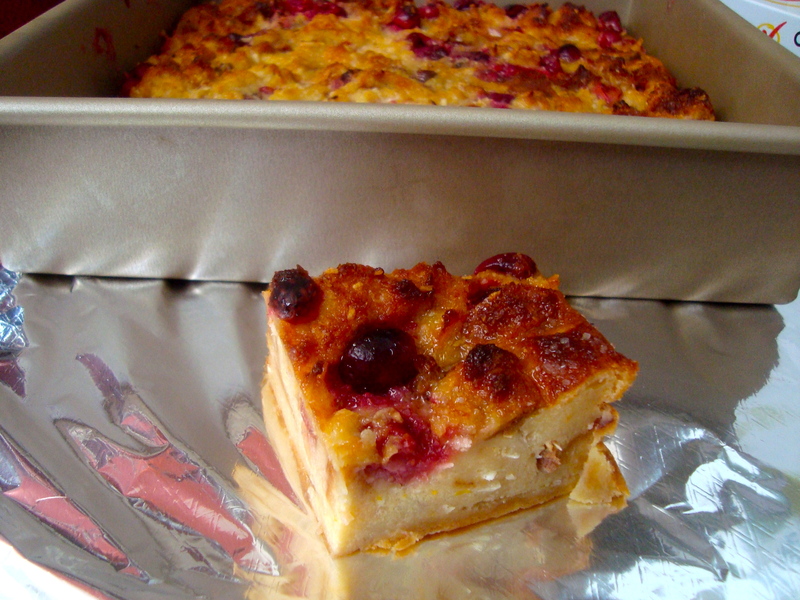 Butter a large casserole dish then put in the bread chunks and whatever fruit or flavorings you’re using. Pour the milk mixture over the bread mixture in the casserole dish, allowing the liquids to soak in. Mix it up a bit to make sure all the pieces of bread are soaking. Allow the pudding to sit for at least an hour, adding more milk or cream if it looks dry in any way. Test this by lightly pressing a fork on top. If it doesn’t get easily submerged by liquid, add some more milk. It freezes really well and lasts for up to a week in the fridge. Heat the butter in a skillet over medium heat until foamy. Add the syrup and rum and cook until thickened and coats the back of a spoon, 2 to 3 minutes. Add the cream and cook for 1 minute more. Serve warm. Can be made ahead and reheated on the stove. 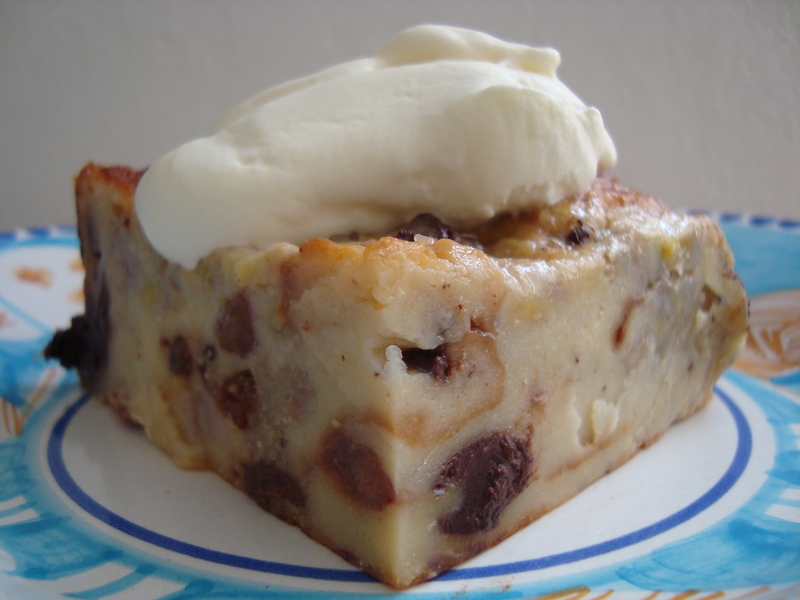 For the record– I like bread pudding now 🙂 Thanks to Whole Foods chocolate challah bread pudding that I steal bites from out of the prepared foods section.